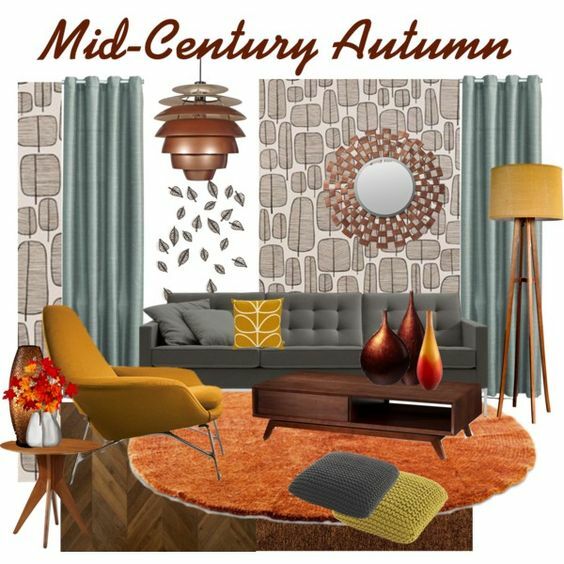 Mid-Century Modern has definitely an autumn feel. The kind of autumn that is dry, sunny, and abounds in warm colours. This is the mood I wanted to capture in this moodboard, and some mid-century pieces came handy: the wallpaper already sets the mood, and the leaves with sticky backings can be attached to wall to form various combinations. With lots of brown tones this interior is welcoming and calm.